FREE Guided Reading Lesson Plans...Who Stole the Wizard of Oz? I have always loved mysteries! In fact, I read the entire series of 39 Trixie Belden mysteries when I was in upper elementary school. I remember always feeling utterly perplexed as to how Trixie could ever possibly solve each mystery. Once I started a Trixie Beldon book, I read it quite quickly because I just had to find out who the guilty culprit was as soon as possible! I remember feeling a sense of accomplishment along with Trixie when the pieces all fell together and the mystery was solved at the end of the book... and immediately wanting to start another book in the series. My own love for mysteries is probably why I enjoy reading A to Z mysteries and Who Stole The Wizard of Oz? with students! As a teacher, it is quite entertaining to read children's mysteries! When I read an A to Z mystery now, the trail of clues (and red herrings!) left by the author seem so obvious to my adult mind, but the students never seem to notice them. In my opinion, Who Stole The Wizard of Oz? by Avi is one of the best children's mysteries available, and is a must-read for students at that reading level. 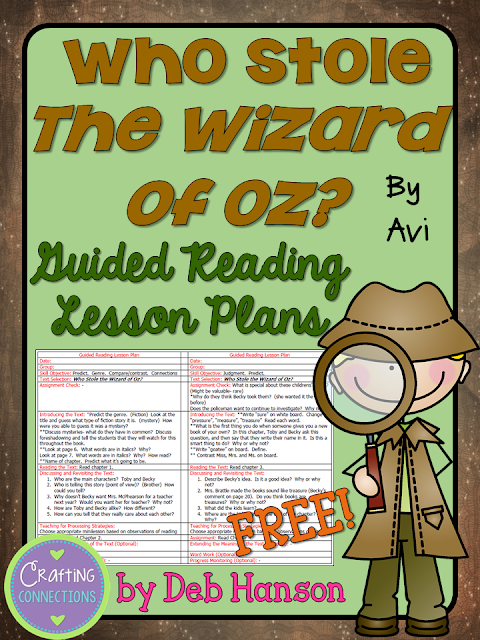 Occasionally, I upload guided reading lesson plans I used during my tenure as an upper elementary reading teacher to my blog. Today is another one of those days! These plans aren't fancy- they are simply real-teaching Word-document lesson plans that I wrote back before I knew TeachersPayTeachers existed! 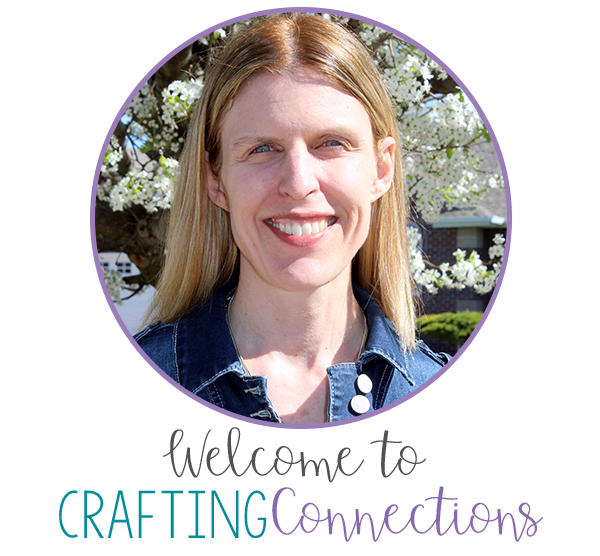 They will likely need to be tweaked to meet the needs of your students and your school district's expectations, but they will hopefully at least give you a starting point in terms of questions and vocabulary words to highlight for each chapter! Detective Image by Mel from Graphics From the Pond. Background Paper by Sonya DeHart Design. Do you have any other favorite mysteries you like to read with your students? Trixie Belden, Nancy Drew, Cherry Ames ... I loved them all! :) Thanks for bringing back that memory that made me smile, and for sharing these lesson plans at Teaching Blog Addict! Cherry Ames- I have never heard of that series!!! I'll have to check it out! Thanks for visiting! Cherry Ames, now that takes me back, way back to being in grade school, walking alone to the public library and using my very own library card all by myself. Bet I was only nine at the time (mid-sixties)! Cherry Ames was a bit outdated even then, but I LOVED her all the same! I love mysteries also. I haven't read this one yet, but now it's on my list. I'm glad you shared on Freebie Friday. Growing up I loved the Nancy Drew series and still remember reading The Westing Game in 6th grade. It's been years since I've read Who Stole the Wizard of Oz so I'm glad to see you have featured it. Thanks for the lesson plans! The Westing Game is my all-time favorite mystery to read with my 6th graders, full of great characters, intriguing clues and red herrings... a SUPER read! There is a video available that makes a good compare/contrast lesson. It is very different than the book! As a kid, I loved to read Nancy Drew and the Hardy Boys. I think I read everone of those books! As an adult, I have read and own every Agatha Christie mystery novel. I love to find old paper back issues in used book stores. I have always been a mystery fan. Now I get books on my Kindle and don't even have to leave my couch! I love mysteries, and this is one of the ones I use. Thank you! Trixie Belden, Nancy Drew, The Hardy Boys, I love them and still have them from when I was in elementary school!! I want to thank you for linking up at my Teaching Blog Addict's Freebie Friday post last week. Please come back tomorrow because you're my Featured Blogger! Congratulations! Thank you SO much for these! It really saved my bacon with my higher 2nd grade readers.